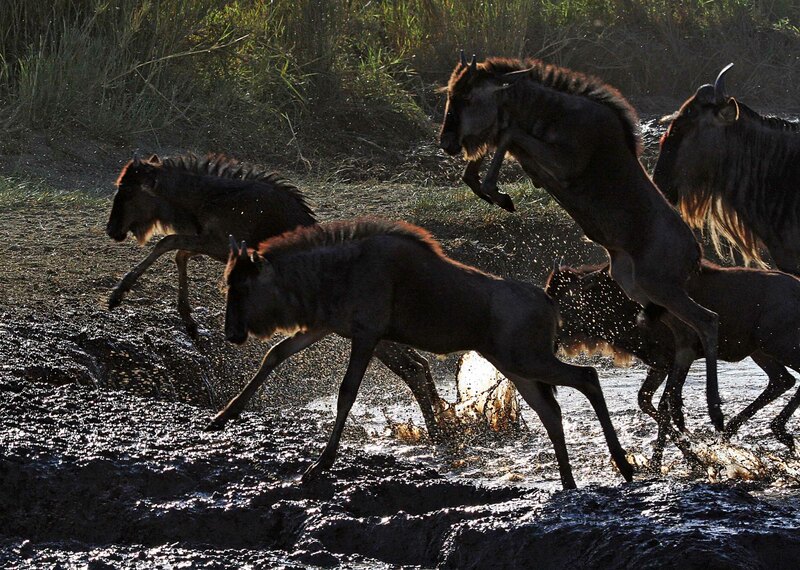 Tarangire National Park is the sixth largest national park in Tanzania’s Manyara Region. Located slightly off the main safari route,a lovely, quiet park in Northern Tanzania.In addition, It is most famous for its elephant migration and various bird species. Strangely enough, Tarangire is underrated park due because it is uncrowded and untamed. Therefore provides a serene environment for game viewing, birding and radiates authentic safari atmosphere. Also, It’s close proximity to Serengeti National Park and Ngorongoro Crater advantages it as an ideal all rounder safari package.Offers both spectacular wildlife and great opportunities for seeing it not only on daily game drives but out on foot and at night. Serengeti is located mainly in northern Tanzania and extends into south-western Kenya. It’s world wide famous for the Migration movement and it’s vast landscape habitating diverse wild animals, including THE BIG 5 and various bird species. 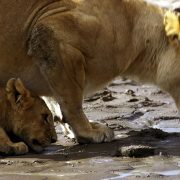 Ngorongoro Conservation Area of the northern Tanzania, is home to the vast, volcanic Ngorongoro Crater and big 5 game. The Ngorongoro Crater is a breathtaking natural wonder. Its natural habitat is undisturbed. On the other hand, It’s vast vegetation allow Huge herds of wildebeests and zebras traverse its plains during their annual migration. 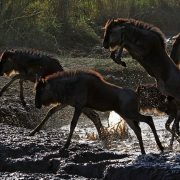 5 DAYS TARANGIRE, SERENGETI & NGORONGORO SAFARI PACKAGE ITINERARY. Meet & greet in Arusha at 0730 hrs & Drive with lunch box to Tarangire. Full day game drive. Overnight at Lake Burunge Tented Camp on FB Basis (Lunch & Dinner). After breakfast, drive with lunch box to Serengeti. En-route game drive. Overnight at Serengeti Katikati Tented Camp on FB Basis (Breakfast, Lunch & Dinner). Full day game drive with lunch box to Serengeti. Overnight at Serengeti Katikati Tented Camp on FB Basis (Breakfast, Lunch & Dinner). After breakfast, drive with lunch box to Ngorongoro & descend for the game drive at the crater. Overnight at Ngorongoro Farm House on FB Basis (Breakfast, Lunch & Dinner). After breakfast, drive back to Arusha with lunch box (Breakfast & Lunch) END OF TRIP.